This knit bomber... where do I even begin? Not only does it have that sporty edginess of a bomber jacket, but it also has that plushy coziness of a sweater! I truly get the best of both worlds! To make the look a little more playful and less boring, I paired it with these vintage polkadots wide-leg chiffon pants. 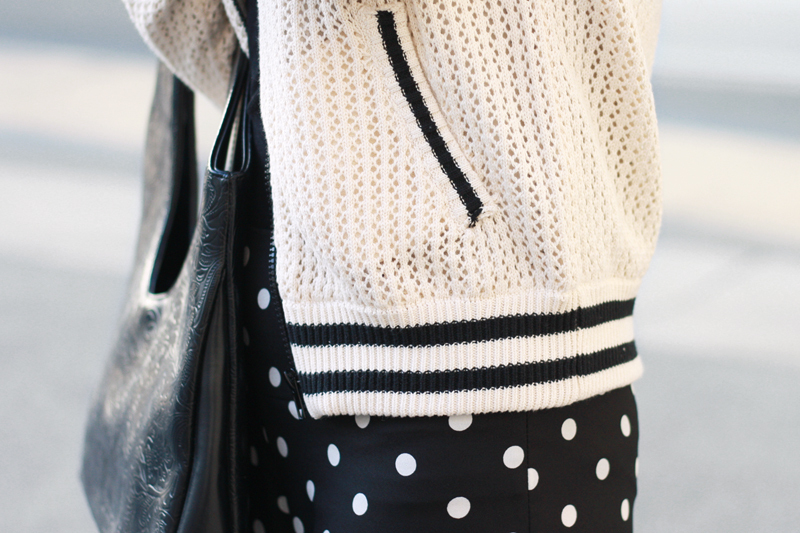 Not to mention I also love the dots against the striped details on the jacket. 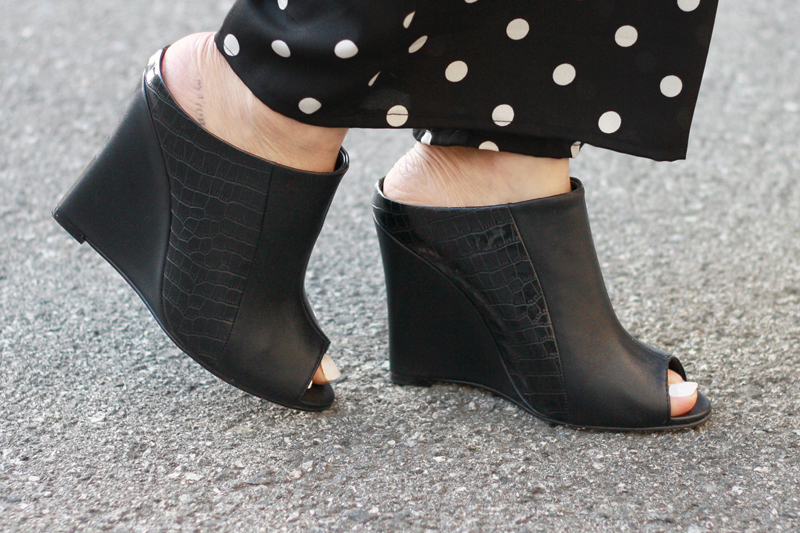 And to make the look a little less sporty and more chic, I added these incredible slip-on mules that have contrasting smooth and croc textures. Sporty isn't really my thing but with the twist I put on it I am kind of digging it! What do you think? Knit bomber jacket c/o F21. Black long sleeves basic tee by F21. Vintage polkadots wide-leg chiffon pants. Vintage floral tooled leather handbag. 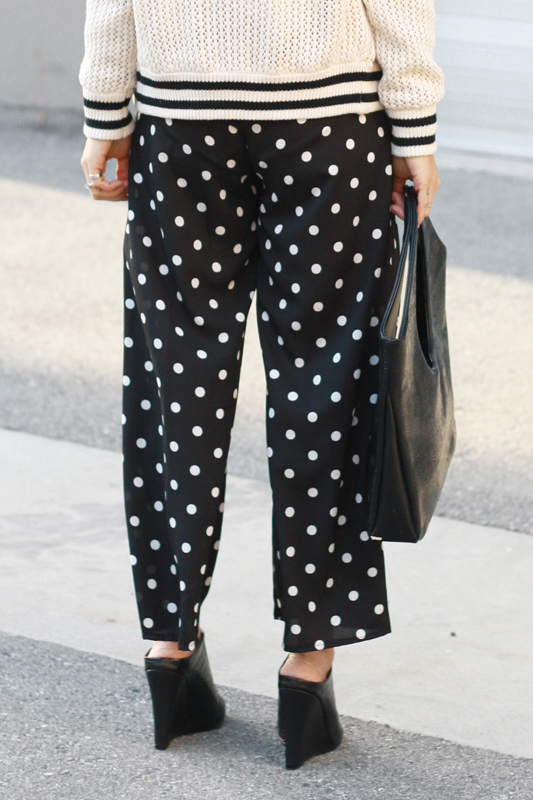 These polka dot trousers look awesome on you. 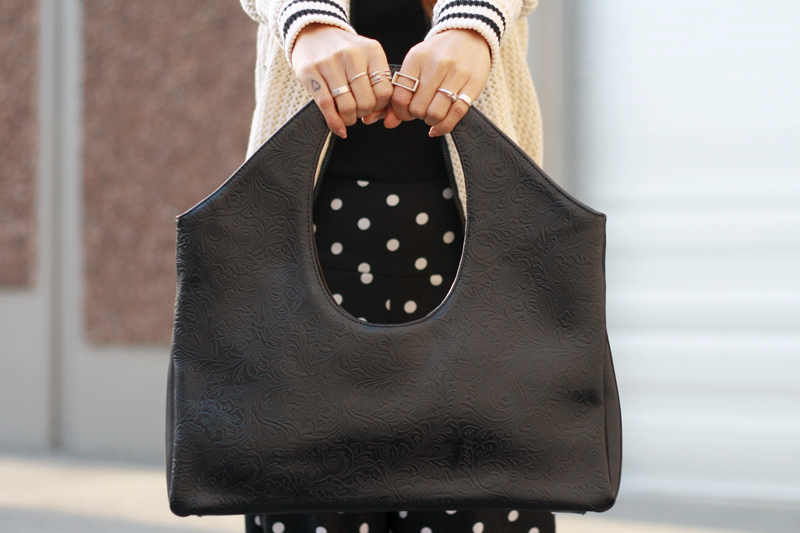 So carefree and comfy, yet cute with the polka dot print. I love how casual this whole look is while still being incredibly cute.